Social media can help small businesses reach a world-wide audience. With many choices available, you should begin with the platform that you are most comfortable with and extend your reach from there. Social media experts will work with your organization to help you fine tune your efforts and develop a working strategy for your business. It is possible to create a marketing plan that spreads rapidly for very little cost. Posts can go viral and self-replicate when your advertisements are attractive to people with high Social Networking Potential (SNP). When they share one of your posts, it will be released to all of their followers and can spread at a stunningly rapid rate. Savvy business owners understand the power of the once exclusively personal networks such as FaceBook and Twitter. Your reach will rapidly expand when you share interesting content created in an attractive way. It is important to understand how to use and create this content for your business. 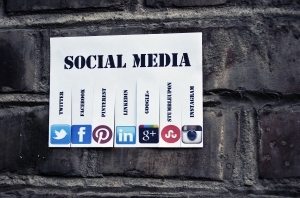 Social Media Creation: In-house Or Outsourced? Just because someone in your office is a regular user of Twitter or FaceBook on a personal basis, doesn’t mean that they will be able to manage an online marketing campaign. In fact, the results can be disastrous. At the minimum, you should hire a social media consultant to develop a strategy. Experience social media consultants view your business impartially and can offer constructive advice. In-house personnel may be hampered by their lack of experience or other duties within the organization. Creating the content and strategy for a social media push doesn’t have to take a lot of time, but it does require expertise. The simplest way to tie your website to social media platforms is to add Facebook or Twitter likes to the feed. With a simple click of the mouse, your readers will be able to share your content with their contacts. Add links to your website by including them within tweets or posts. File sharing and creation sites are increasing making it easy to interconnect. For example, the SharePoint Server 2013 has new tools to streamline social collaboration. The tools such as My Site are easy to use and enable you to quickly set up blogs, wikis, and RSS. FaceBook is great for communications with family and friends. However, there are methods that allow you to change your customers into friends. Google+ is leading the pack in this area. It is enabling users to connect with brands, products, and businesses that they are interested in. To achieve positive results from social media campaigns, your messages must be targeted to your marketplace. Quality posts will keep your followers engaged. Quantity without quality will drive users away. Compelling blog posts and articles packed with informative information are the kinds of things that users are looking for. In fact, the number of Internet readers who are getting more of their content through social media rather than from search engines is rapidly growing. Be clear about what you want to accomplish. Are you hoping to promote customer loyalty and build your brand or would you rather directly work to increase sales. A consistent approach will work wonders for your business. Niche marketing through video works well when the content is skillfully created. Websites such as YouTube are fantastic ways to build a following but requires expertise. Never forget the power of pictures by building a photographic or visual feed as well. Used well, social media will change the relationships that you have with your customers. Guest Author: Amy Rice writes about social media, when not writing she enjoys spending time with her daughter, horse riding and playing adventure golf.